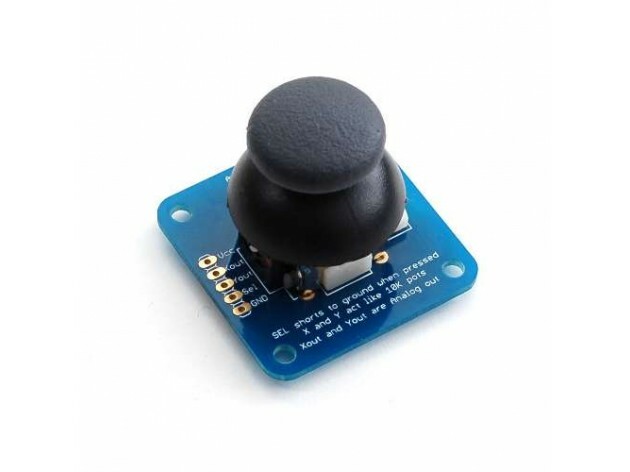 The Adafruit analog 2-axis thumb joystick mini kit is easy to mount on a PSP/Xbox-like project. The thumbstick is analog making it more accurate and sensitive than just 'directional' joysticks - with a 'press in to select' button. You'll need only two analog reading pins on your microcontroller to determine X and Y. Having an extra digital input will let you read the switch. The breakout was designed so that it can be easily attached to a panel. 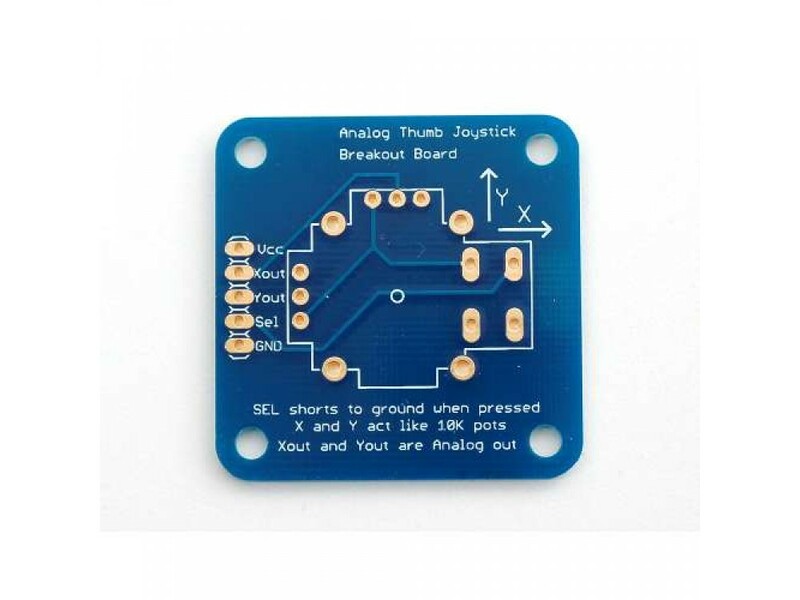 The included 5 pin 0.1" spaced header makes it easy to connect it either to a perfboard or a breadboard. 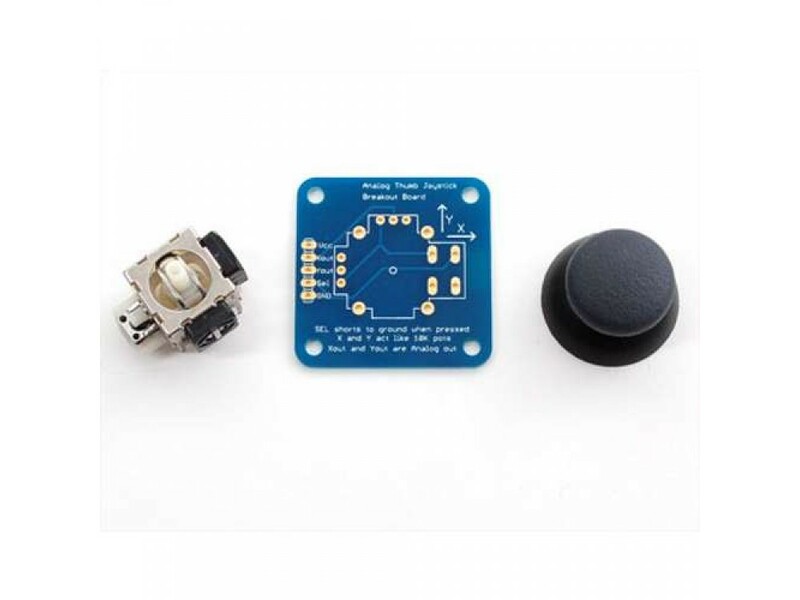 The Adafruit 2-axis thumb joystick is a small and easy to mount kit equipped with a soft rubber hat that let you track X and Y axis movements on a PSP or XBox like project. Featuresmodel: TENSON TY300A-M2resistance: 5 kΩ between 0 and 5 kΩ ±5%x, y rotating angle: ±25°z rot..
Featuresmodel: TENSON TY400A-M2resistance: 5 kΩ between 0 and 5 kΩ ±5%x, y rotating angle: ±25°z rot..